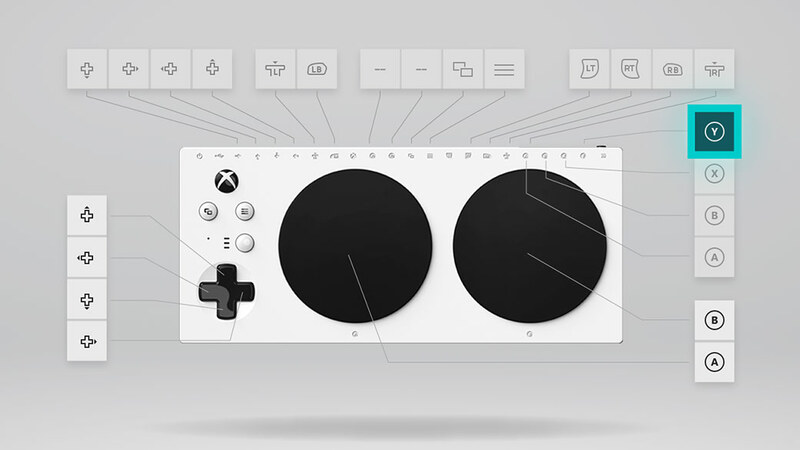 Designed primarily to meet the needs of gamers with limited mobility, the Xbox Adaptive Controller is a unified hub for devices that helps make gaming more accessible. Connect external devices such as switches, buttons, mounts and joysticks to create a custom controllers experience that is uniquely yours. Button, thumbstick and trigger inputs are controlled with assistive devices (sold separately) connected through 3.5mm jacks and USB ports. Built from the ground up through strong partnerships with The AbleGamers Charity, The Cerebral Palsy Foundation, SpecialEffect, Warfighter Engaged, and many community members. 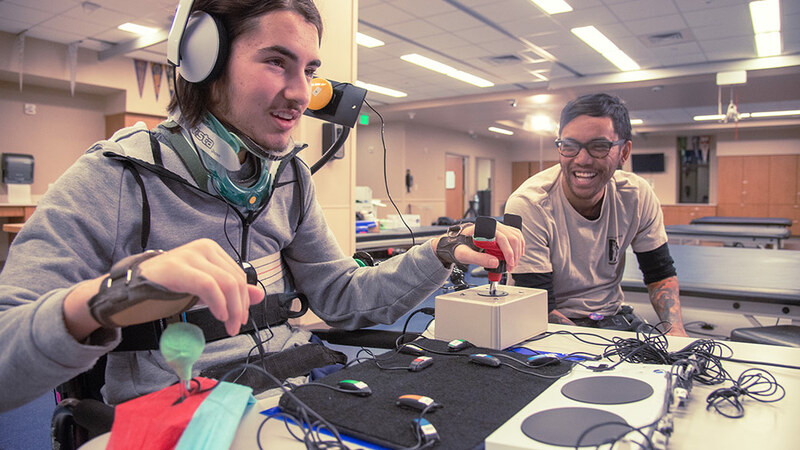 Input from these groups has helped shape the design, functionality and packaging of the Xbox Adaptive Controller. Play on Xbox One consoles and Windows 10 PCs with familiar features such as Xbox Wireless, Bluetooth, USB connectivity, Copilot, and a 3.5mm stereo headset jack. Use the Xbox Accessories app on Xbox One or Windows 10 to further customise your experience through button remapping and profiles. Create multiple controller profiles in the app and instantly switch between three of them with the built-in Profile button. For use with Xbox One consoles gaming on Windows 7, 8.1 and 10 PCs. Limited functionality on Windows 7 and 8.1. Available on Xbox One consoles and Windows 10 PCs. 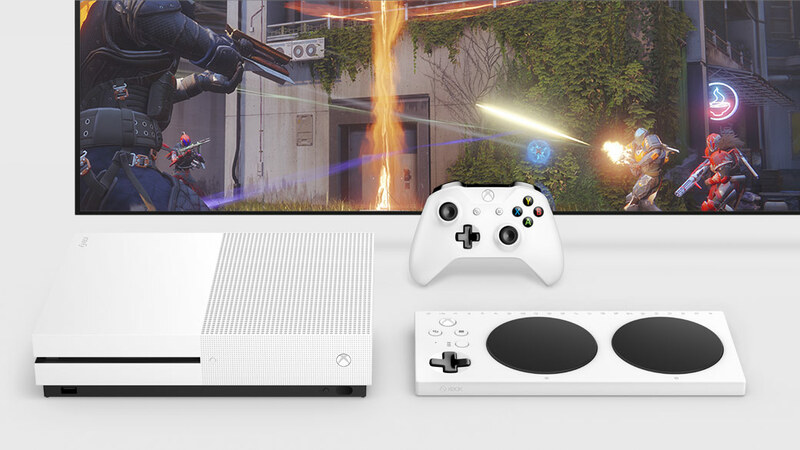 Includes Xbox Wireless Bluetooth, and USB-C connectivity for gaming on Xbox One consoles and Windows 10 PCs. 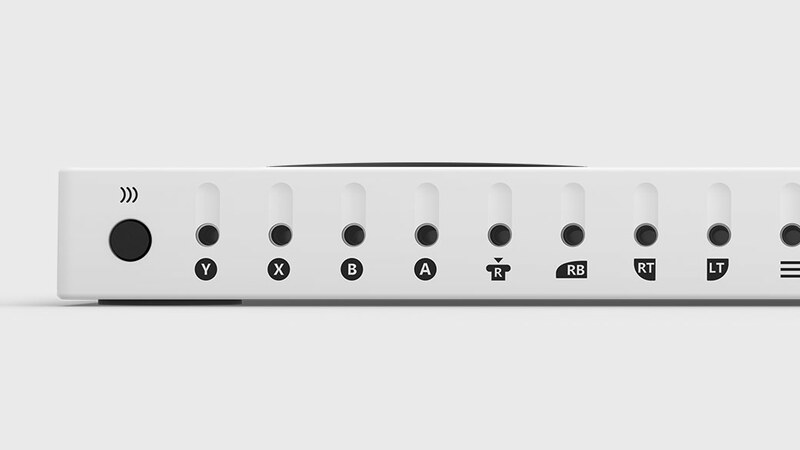 Nineteen 3.5mm ports and two USB 2.0 ports for external inputs. One 3.5mm stereo headset jack for audio. Remap buttons and create multiple controller profiles through the Xbox Accessories App on Xbox One or Windows 10. Xbox Adaptive and 9’ USB-C cable. 1/4-20 screw designed for AMPS compatible mounts. °-20 screw designed for tripod mounts. 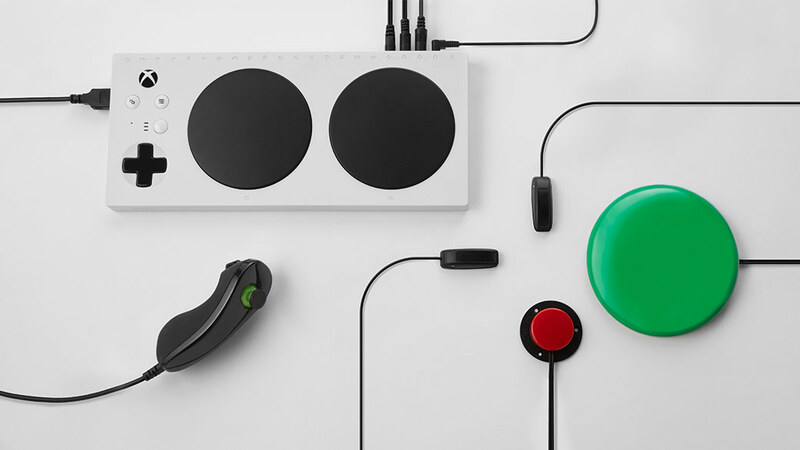 Xbox Adaptive Controller: 552g, USB-C cable: 64g. Take a look at the support site for information on how to set up your controller. Checkout the Xbox community forums for more information.